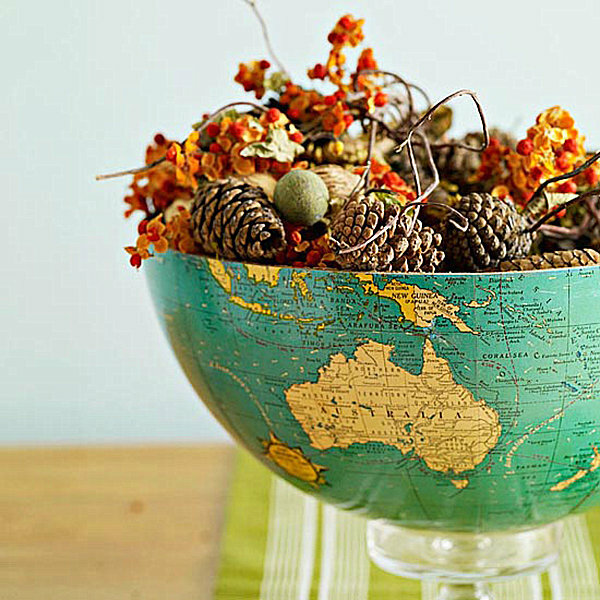 Are you looking for that perfect centerpiece? 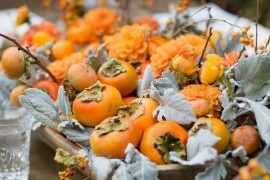 Hoping to add fall motifs to your decor so you can set the stage for the big day? 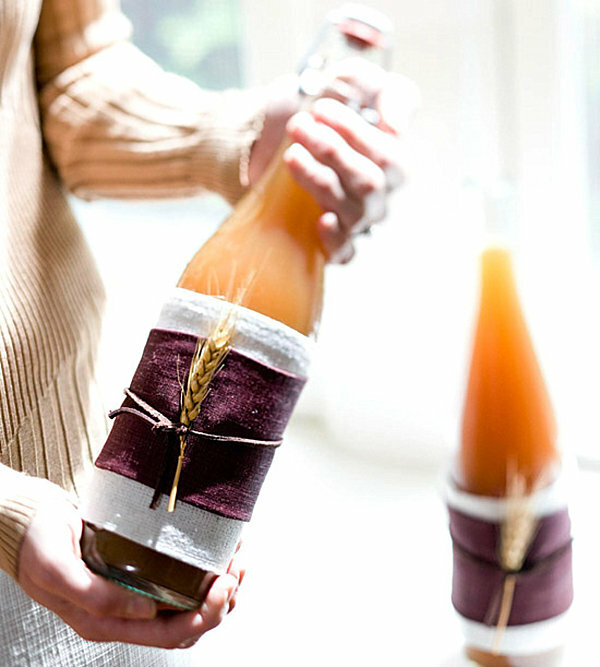 Searching for a handmade favor idea to hand out to guests? 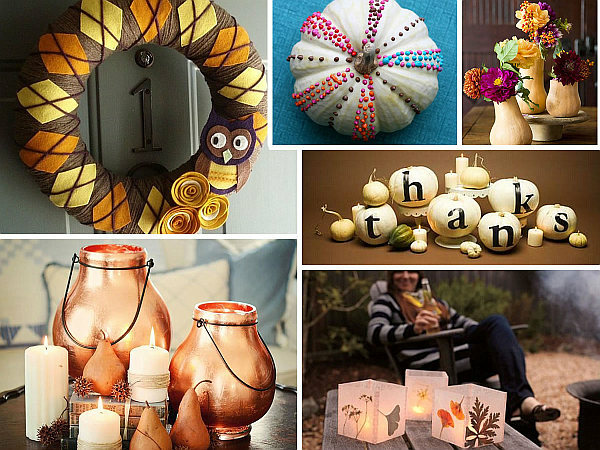 We’ve rounded up a slew of Thanksgiving crafts for you to enjoy. 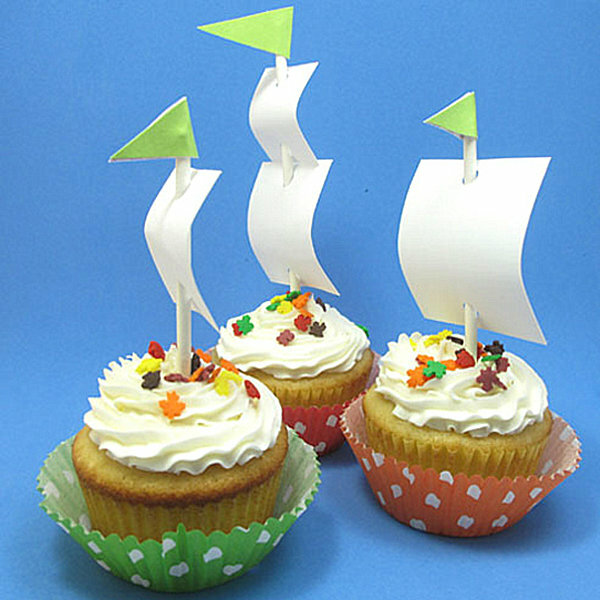 Put on your DIY hat, gather supplies, and let your imagination take hold. 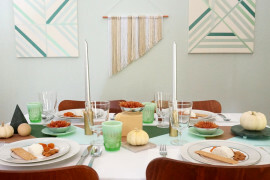 From the super easy to the more involved, the ideas below will bring an element of creativity to your Thanksgiving holiday! 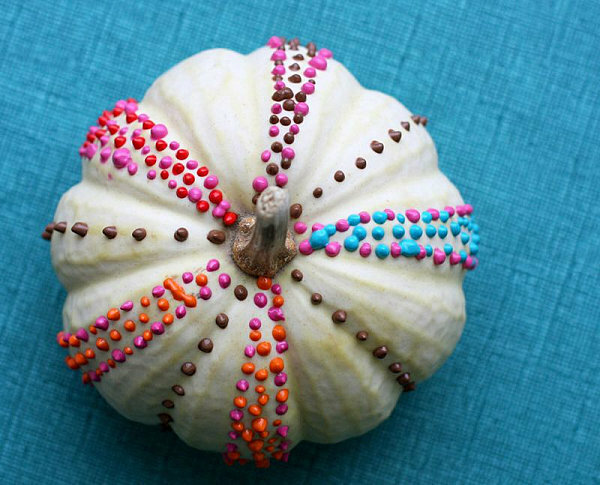 If you’d rather paint your produce than cut into it, try the DIY painted pumpkin project in the next image, which uses fabric paint to create a series of dots in vibrant shades. For a full tutorial, check out A Beautiful Mess. 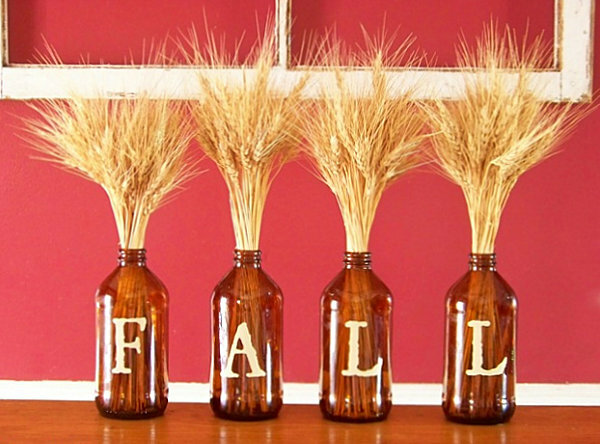 The DIY project below involves glass bottles, vinyl lettering and wheat stalks. 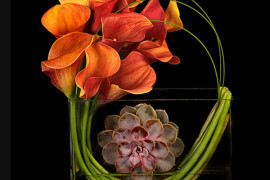 The repetition of vases in a straight line makes a powerful statement, especially when placed in front of a vivid wall. 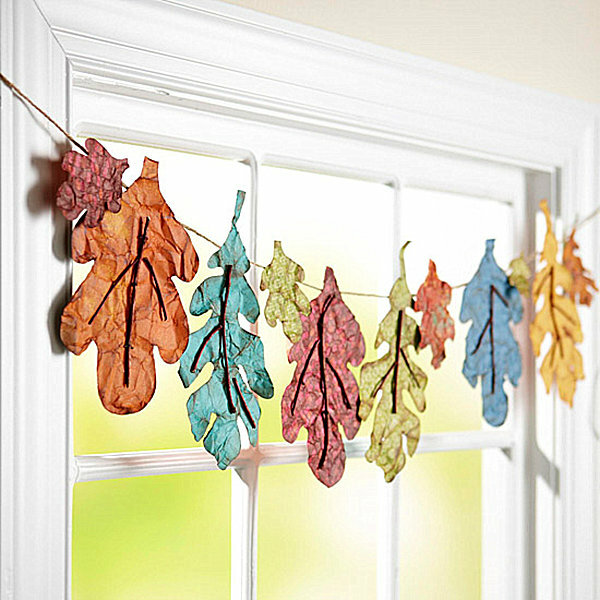 Check out the full tutorial at the crafty blog Choose to Thrive. 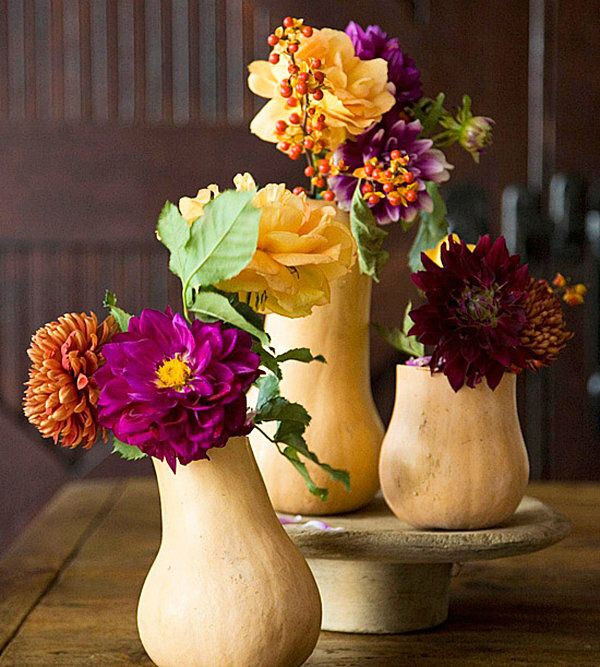 Our final featured autumn centerpiece is easier to pull off than it looks! 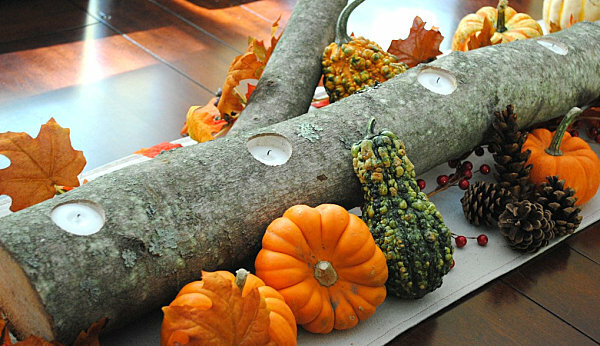 A log, a drill and some tea lights get the job done, and an assortment of pine cones, pumpkins, squash and fall foliage jazz up the vignette. 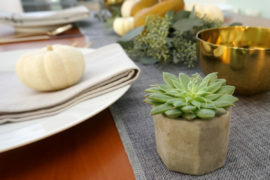 A full tutorial can be found at SAS Interiors. For another banner idea, get out the German glass glitter and bedazzle a series of chipboard letters. 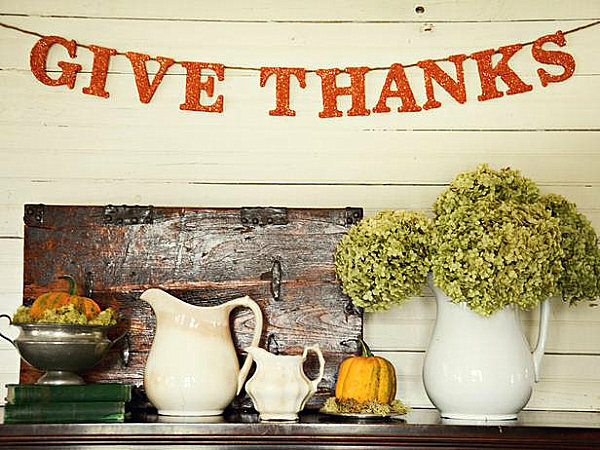 Spell out the thankful message of your choice, and display the final product against a wall, as shown in the image below. For a full tutorial, check out HGTV.com. Welcome guests at your door with an argyle wreath in shades of gold and chocolate. Yarn and felt are the ingredients of choice. 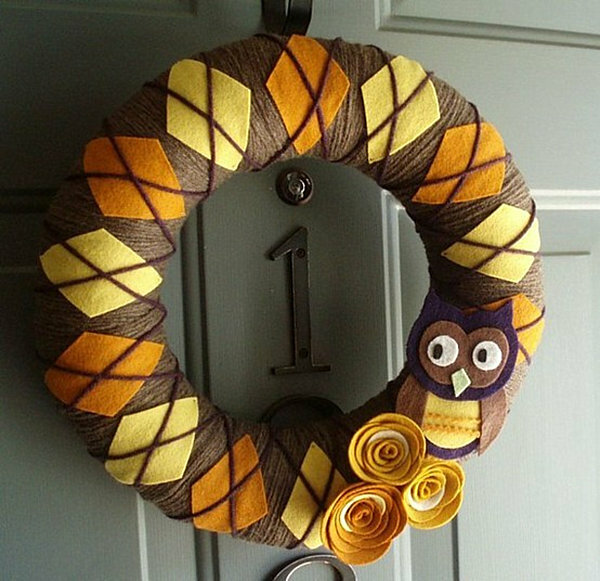 Don’t forget to add flourishes like flowers and an owl so your wreath has a focal point. Taken from Pinterest, this image is a helpful illustration of the argyle wreath concept. 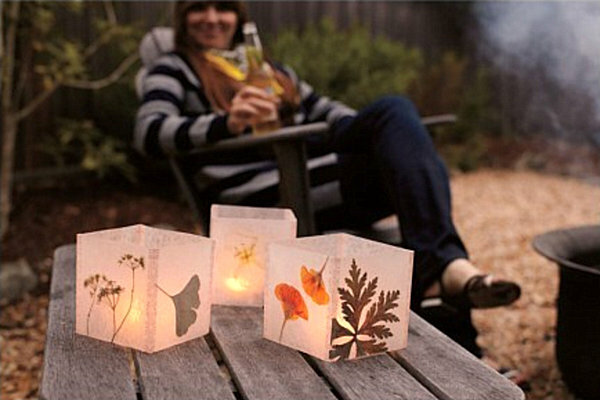 For a similar DIY, check out Handmade is Heartmade. 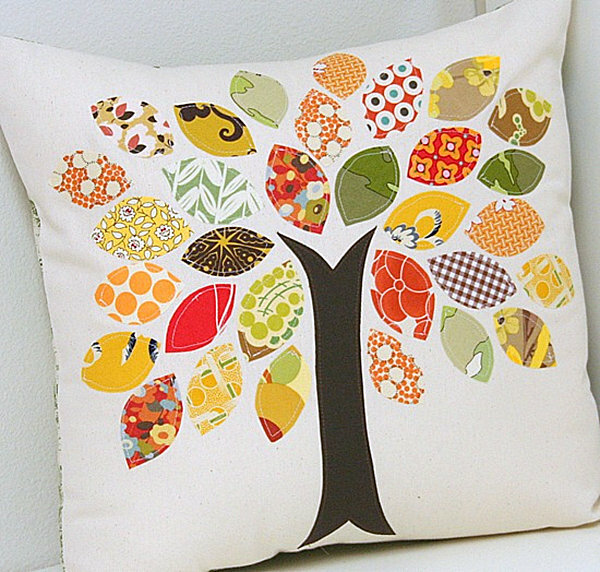 Extend the fall festivity to your seating with the help of a seasonal pillow that boasts a colorful tree design. The secret to this pillow’s success: fabric scraps. Simple cutouts make the project manageable, and a variety of fabrics add interest. Check out the full tutorial at Cluck Cluck Sew. 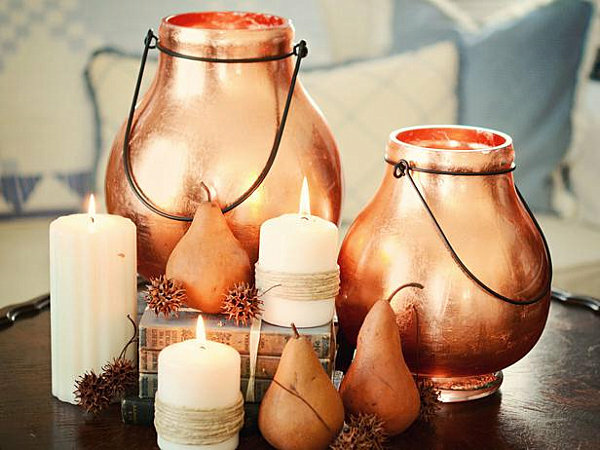 Metallic shine adds power to our next featured DIY project, a duo of copper-leafed glass hurricanes. 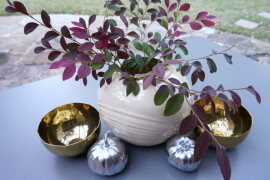 Visit HGTV.com for a full tutorial on how to apply the copper finish. 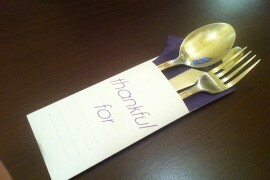 Another hostess gift/Thanksgiving favor idea? 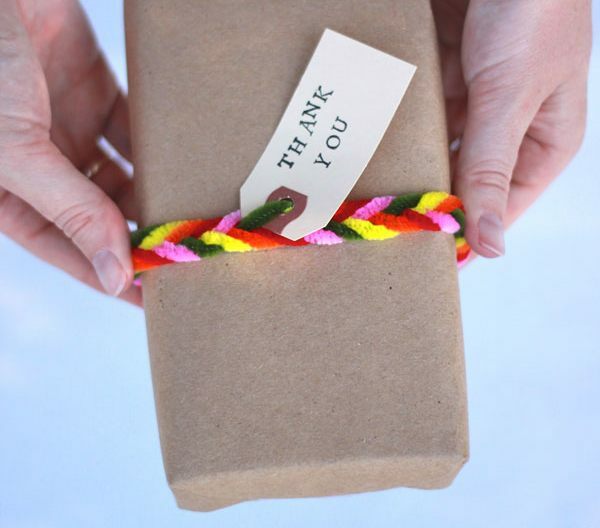 Wrap up little goodies and incorporate braided pipe cleaners into the mix. This tutorial from Oh Happy Day will even teach you how to braid with five different strands! 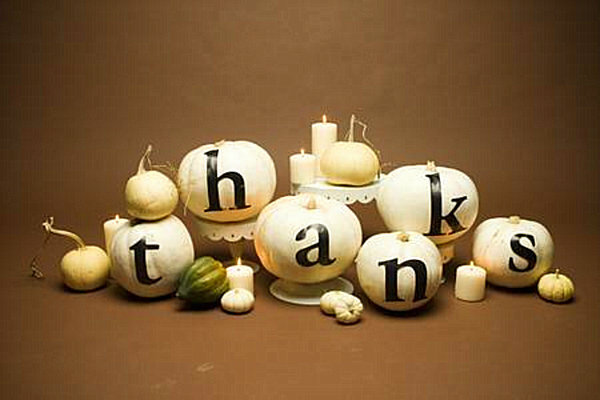 Looking for a way to decorate Thanksgiving place cards, greeting cards, or favor boxes? 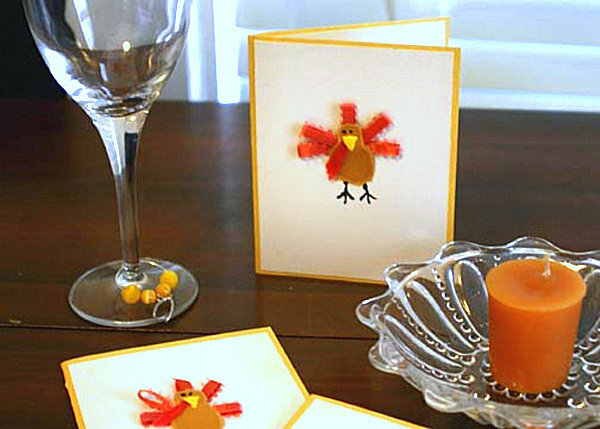 Try constructing a turkey from card stock, satin ribbon and a few other simple supplies. The result: an adorable feathered friend. Visit Tonality Designs for the full tutorial. 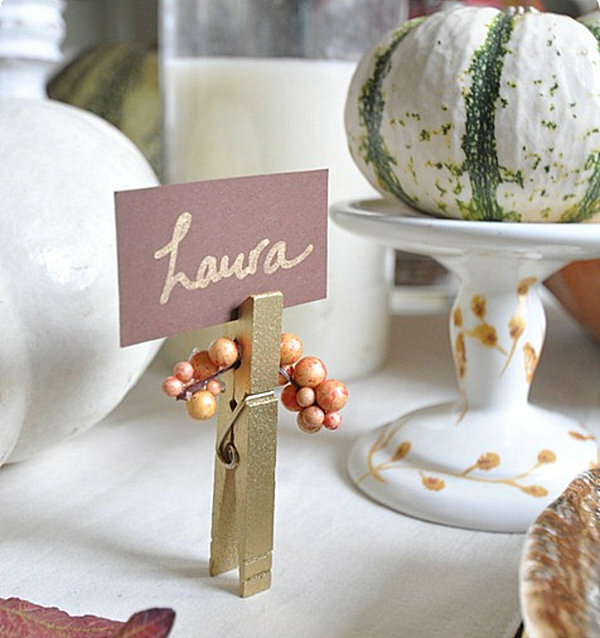 Handmade place cards are a wonderful way to add personality and warmth to the Thanksgiving table. 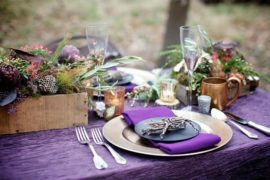 These clothespin place card holders from Centsational Girl can be created with the help of spray paint and faux berries. 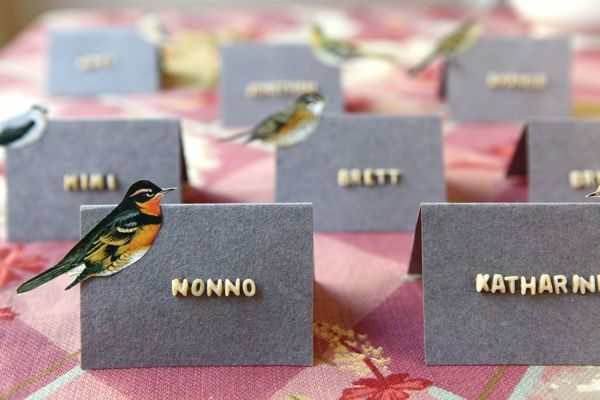 Looking for an easy place card holder idea? 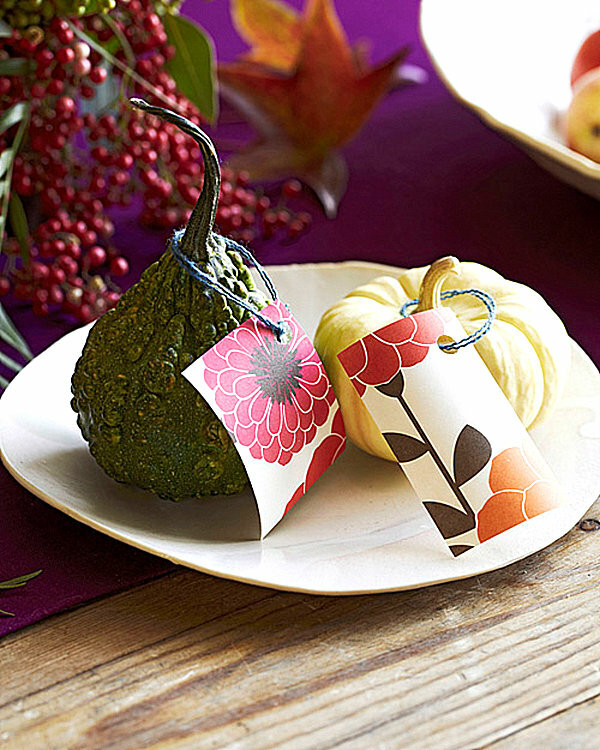 Cut simple cards from the wrapping paper of your choice, then tie them to pumpkins and other fall produce, as shown below. 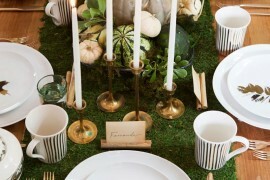 This table setting is from photographer Matt Armendariz. 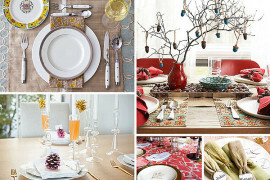 Check out all the details at Design Sponge. 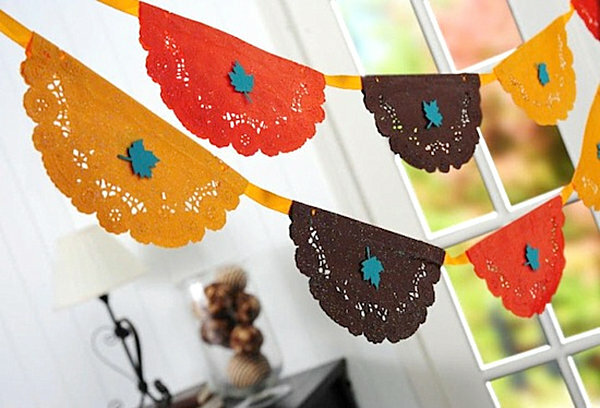 25 Thanksgiving Crafts and Table Ideas for the Big Day Ahead!